You are probably aware that your toilet seat, the chair in your hotel room, and your dollar bills are full of bacteria. But that exact spot where you place your lips when you drink from a can, is a total bacteria trap. “It amazes me that a toilet seat has less bacteria than the beer can. 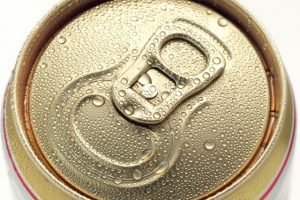 It’s probably safer to drink the toilet water than it is to put your lips on the edge of a beer or soda can” said Jake Tyson to the Australian News. He is CEO on EarthEcco which is a company performing bacteria tests on products frequently in human contact. Mr. Tyson said that he will use a straw in the future when drinking from a can. Also keep in mind that the beer can bacteria transfers to your hands and there fore it’s as important to wash your hands when you have handled beer cans, as it is when you have been at the bathroom. Yikes, I really hate that comparison. Anyway, in the Australian test they measured something called RLU, which tells how clean or not clean the tested object is. The number should be below 30, and if it is over 135 it is really nasty and should not be handled if possible. In the test, the office toilet seat RLU level was at 984 and that was still cleaner than the cans! The beer can bacteria came out to 1146 RLU! !